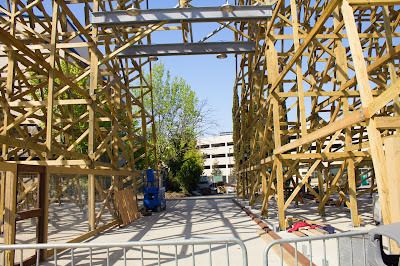 Thrills by the Bay: California's Great America Update - First Signs of Haunt Beginning to Rise! 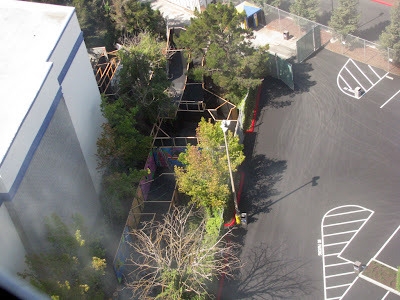 California's Great America Update - First Signs of Haunt Beginning to Rise! It may only be mid-July but that doesn't stop California's Great America with getting the park prepared for its annual Halloween Haunt! For those unaware, CGA started its Halloween events in 2007 with a single maze, being CarnEvil. 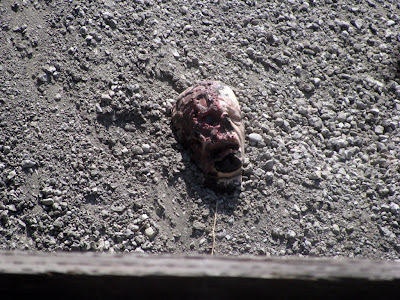 This was a teaser as to what the 2008 season would bring, being the park's first full-on Halloween Haunt. Ever since, the park's Haunt event has continued to grow with new mazes, enhancing existing mazes, and even using some of the park's inhouse talent to create custom soundtracks for many of their mazes! Keeping with tradition of providing something exciting for the new Haunt season, last week, the park announced its new maze "Dia De Los Muertos" in which will take over the former "Club Blood" area. For those unaware, Club Blood took place at the park's defunct Pictorium utilizing some of the path outside and going through the dormant building itself. 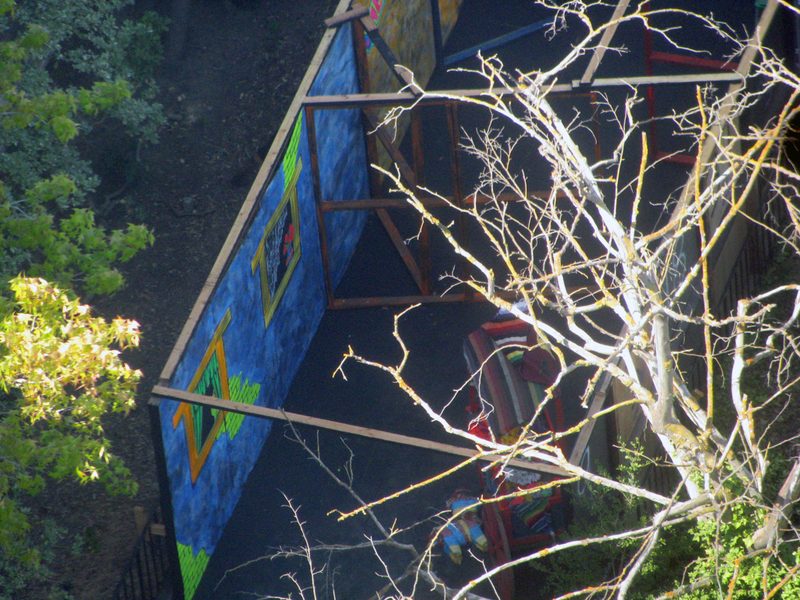 Some construction walls for Dia De Los Muertos has already began to rise and are already receiving paint! Here's an overview of what's visible of Dia De Los Muertos. It appears as though it will start along the outside of the building, work its way behind and go back through the building as it heads back out to the Star Tower plaza. Guests wishing to visit Dia De Los Muertos will enter passing underneath the Gold Striker lift hill. Here's a close up shot of one of the painted walls. You can also see some props sitting inside of the maze. Meanwhile, that's not the only thing going on. 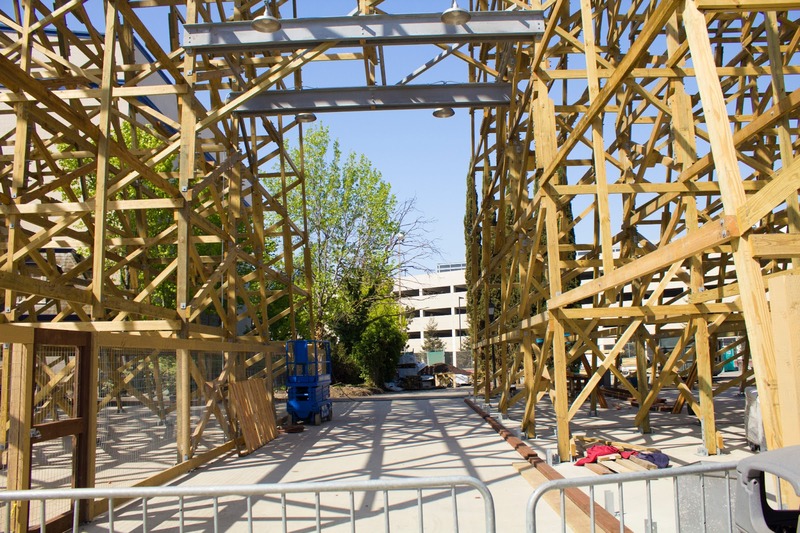 Recently, the park applied for a permit to build a 60'x80' "storage building" (which last year, when a storage building was built, it was for the Madame Marie's Massacre Manor maze). 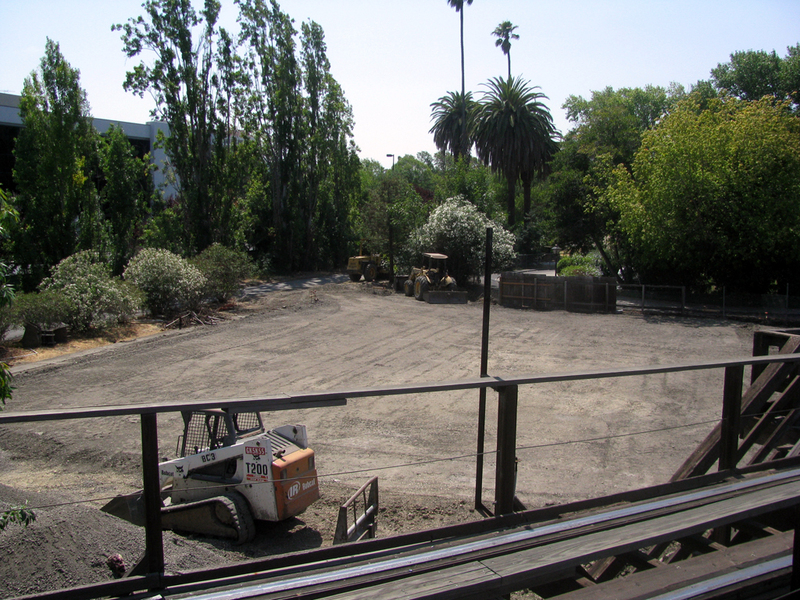 Land clearing has begun behind the park's Grizzly coaster. Leveled dirt...who's excited? Wait, what is that sitting in the gravel pile?!? This confirms that this is will be Haunt-related. Nothing like the park giving off a very subtle teaser/hint. In other news, vandalism is still running rampant over at Gold Striker. While the park has addressed the issues with the bent wire fencing and replaced the entire queue with heavy-gauge wire, they continuously sand down the fences every day. On the flipside, at least Gold Striker continues to he a HUGE hit for the park. Riders taking in the rather forceful first drop. Quickly zooming around the midway turn. to the professionals and live with your experience in memory. So that wraps up this update, stay tuned for future updates as the Haunt 2013 season approaches!